The rain still falls in spits and spurts yet the everyday living of Kunming city never stops. Mini buses pull up on the street with fresh produce from the villages outside the city limits. An announcement over a loud speaker crackling over and over in a loop the prices of today's bananas and apples, and special other delicacies of the East. 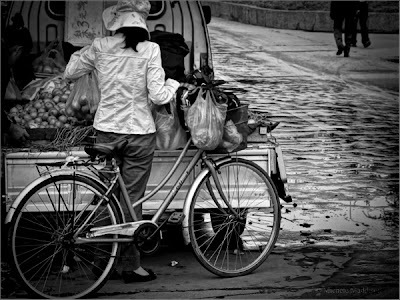 Life rarely sleeps in Kunming it is a very bustling city of the Yunnan Province.